Amidst mass generification of history’s bestselling drugs, Big Pharma is extensively finding itself cornered by aggressive competition from generic drugs which only recently ceased to be their very own blockbusters. As market share and annual revenues plummet off the patent cliff, pharma multinationals have resorted to a series of radical changes to restore the precarious equilibrium between the ever-battling yin and yang that are the originator and the generics industries. Our last post addressed the trend of the visibly shrinking R&D departments, particularly what has become of them, and how their lingering potential could still be of interest to downsizing pharma. This week we will be looking at the colourful abundance of individual strategies companies are adopting in these austere times. Some trends may be more fashionable than others, but one thing seems certain: no pharma player has remained unmoved by the industry’s desperate cries for change. There is an undeniable R&D productivity crisis in the pharmaceutical industry. Output of in-house R&D has been at its lowest in the past 5 years, despite an increase in the number of projects and in the availability of funds. The ratio of the number of FDA-approved NMEs to R&D spend for nine Big Pharma companies (fig 1) demonstrates a harsh reality that in-house R&D as it is conducted in the industry today is simply no longer sustainably efficient. It has been argued that R&D turnout has been so poor in recent years due to the decreasing number of “easy targets” - that is, companies are addressing less well-elucidated disease pathways in a tunnel-vision search for the next blockbuster, increasing the risk of their ventures. In other words, basic research has apparently not caught up with the demands of the industry. 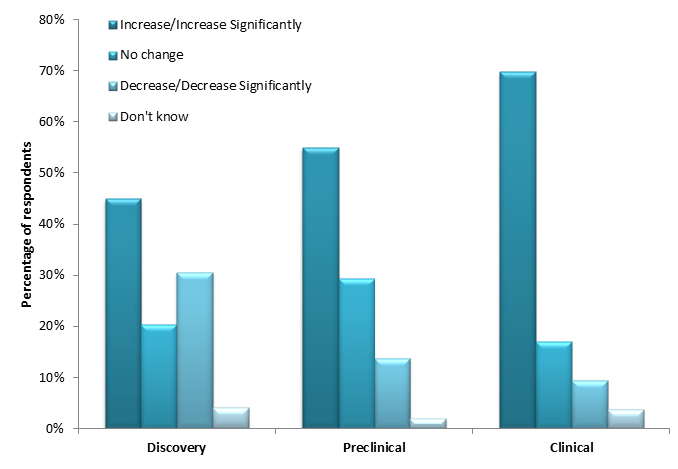 Pipeline collaborations, partnerships and in-licensing as a way to dilute the costs and potential hazards, and 91% of industry executives believe that in the next decade the industry will be riddled with pharma-biotech mergers; 69% also believe that consolidation amongst small biotechs will be on the rise. Notably, in anticipation of the patent cliff, the majority of licensing deals struck in Q2 of 2010 involved molecules in marketing stages of development; leads in phase III trials were the second most popular licensing target. Most pharma executives anticipate a significant influx of later-stage, clinical molecules into their pipelines over the next two years (Fig. 2). GSK, Merck, Novartis, AstraZeneca, Pfizer and Roche have announced that in-licensing is to become a core part of their business strategies, and have already secured over 50% of all Top 20 Pharma in-licensing deals struck in the 2005-2010 period. The number of licensing agreements has increased by 16% in the last five years, and the majority of licensing deals struck in Q2 of 2010 involved molecules in marketing stages of development; leads in phase III trials were the second most popular licensing target. Companies who strongly oppose diversification, such as Bristol-Myers and Roche, have divested from their non-Rx portfolios but have streamlined their efforts towards partnering and in-licensing rather than towards in-house innovation. Bristol-Myers’s “string of pearls” strategy is exclusively aimed at partnerships and licenses which would address a vast array of target disease niches and compliment the company’s existing pipeline. . As part of “pearl acquisitions” the company purchased the immuno-oncology specialist Medarex for US$ 2.3 billion, obtaining an abundant cancer and biologics pipeline in the process. Other pearl acquisitions included Kosan Biosciences and the protein biologics developer, Adnexus Therapeutics. Similarly Merck’s chief licensing officer, Dr. Barbara Yanni, has revealed the company’s “scientific scout” model, as part of which licensing “detectives” are trained to hunt for lucrative deals amongst academia, small biotechs and even large multinationals. In 2009 the scouting strategy has lead the company to close 51 licensing deals. Based on the in-licensing activity in the industry, oncology, central nervous system disorders, cardiovascular health and autoimmune diseases currently dominate the target disease field, whilst the biggest blockbusters of the last decade have for the most part targeted pervasive “first world” conditions such as stroke, heartburn and asthma. With Lipitor going generic, Pfizer declared that the company will no longer focus on cardiovascular health in their pipelines, shifting resources to oncology and Alzheimer’s disease instead. GSK is also set to diversify into oncology, cardiovascular health and vaccines, whilst Takeda will focus on metabolic & central nervous system disorders and oncology. The ageing population of the world, which will reach 19% of the global population by 2030, is becoming pharma’s most faithful client. In the US, prescription use is sizeably dominated by the 65+ age group and R&D focus is shaping accordingly, with diabetes, osteoporosis, Parkinson’s disease and other chronic illnesses becoming the target of choice for applied research. For companies who chose to retain a certain level of home-brewed innovation, scientific outsourcing with contract research organizations (CROs) appears to be a more cost-effective alternative to in-house R&D. Global CROs such as Quintiles, Charles Rivers Laboratories, ICON and Parexel are expected to profit lavishly from the current industry turnaround. In 2011, pharma companies have outsourced US$ 36.6 billion worth of R&D expenses to contract organizations - up 6.6% from 2009, and have as a consequence lowered their research expenditures from 74% to 62% in the past year. Smaller pharma and biotechs are expected to be responsible for the majority of outsourcing activity, as in-licensing will remain a priority for large pharma. The shift towards outsourcing has been made inevitable by expanding pipelines and shrinking R&D departments, and rates of outsourcing are expected to increase by 10% across all research areas by 2015, with growth rates exceeding 60% within the next decade. Drug commercialization is a process with a bulky price tag for Big Pharma, and one which is strongly dependent on an array of ever-shifting variables - i.e. fluctuating markets and exclusivity times. Occurrences like patent expirations may suddenly make obsolete massive product-specific sales teams, resulting in redundancies or substantial amounts of resources spent on product re-focusing. Essentially, pharma commercial teams have an “on and off” switch which begs for immense flexibility not afforded by the current pharma model. Since marketing is astonishingly as costly a process as R&D itself, it invariably possesses an equally large potential for cost cutting. CROs like Quintiles and Charles Rivers are beginning to develop specialized commercial outsourcing units, and numbers of global Contract Sales Organizations (CSOs) are on the rise, having already secured some Big Pharma customers. Sales outsourcing potentially eliminates the danger of post-expiration redundancies and the uncertainty which surrounds commercial matters in the industry. By 2016, the global CSO market is expected to be worth over US$ 9.2 billion, up from US$ 3.7 billion in 2009, and the US$ 200 billion Big Pharma spent on marketing in 2010 testifies to the potential of this niche. As pharmaceutical innovation is decelerating due to a decreasing number of target diseases, diversifying into a competitor’s realm is continuously becoming a more attractive strategy for multinational pharma. According to Roland Berger Strategy Consultants, 78% of pharma executives perceive generics to be the most important area of diversification, followed by consumer health (50%) and vaccines (42%). Importantly, the strongest potential of generic and consumer health diversification is perceived to be in pharmerging markets. Pfizer’s acquisition of Wyeth was in part motivated by the diversification potential of the deal, which gave Pfizer access to the established vaccines, consumer health and biologics departments of Wyeth. On a similar note, Sanofi-Aventis announced plans to become a diversified global healthcare leader in 2009 increasing non-patented drug and other product sales from 5% to 12% in recent years. GSK, who faces losses of US$ 9.3 billion during the patent cliff, was one of a select few multinationals to report Q3 2011 sales growth, for the most part due to a 21% increase in the sales of vaccines and a significant consumer healthcare sales growth in emerging markets. Diversification is not on every multinational’s agenda, however. Eli Lilly and Bristol-Myers Squibb, for example, remain dedicated to their Rx programs, as investors and analysts are weary that conglomerates are likely to trade below the sum of their parts. In the current context, new innovative drugs entering the market must not only demonstrate that they are en par with or better than their marketed competition, but to differentiate enough from growing numbers of cheaper generic alternatives, and to justify the price premium over them. Of particular importance over the next few years will be novel action or delivery mechanisms in major disease areas to accommodate those patients for whom current methods are unsuitable. Novel classes of diabetes drugs, such as the new SGLT-2 class, will be particularly prominent. Drugs targeting orphan diseases will also be on the rise, but will not be a significant source of revenue. Currently, major global drug consumers are the US, Japan and the EU, but the growth rate of these markets is predicted to slow down to as low at 1% in the next decade. In contrast, pharmerging markets, such as the BRIC countries, South America and Eastern and Central Europe, have the potential to grow at 14-17% and to rake in up to US$ 180 billion annually for the pharma industry. 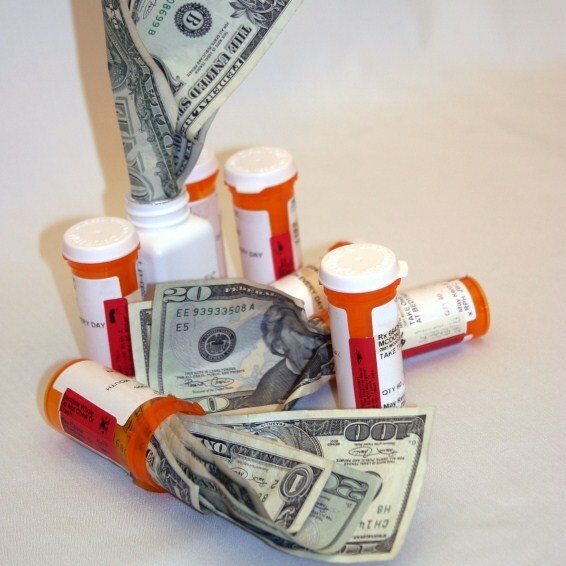 Growth of income in these markets, which is normally 80% correlated with growth in affordability of and spend on medication, is extremely robust, and serves as the primary allurement for major pharma investors. Defined by IMS Health as a “Tier 1” pharmerging market, China presents the greatest opportunity, with a predicted annual growth of 20% in terms of pharmaceutical demand, in contrast with the average global growth of only 5-8% through to 2014. China’s immense market growth is predicted to be mainly due to a significant rise in chronic illnesses, which currently amount to 80% of total deaths in the country. The IMS “Tier 2” Brazilian, Russian and Indian markets are expected to grow at 13-16% in the next five years, even despite the lack of adequate governmental patent protection. “Tier 3” countries such as Egypt, Indonesia, Mexico, Pakistan, Turkey, Romania and Ukraine, among others, are also steadily picking up pace. By 2014 pharmerging markets will represent 49% of the global pharmaceutical demand, in contrast with only 8% in 2001. Basic research happening in the academic arena and government facilities has been identified as a profitable force by Big Pharma for some time now. Companies have nurtured academic links through the building of research incubators, offering of industrial placements, funding of PhD projects and sponsorship of individual labs. In the new era business model, however, friendship with academia has seemingly waned as a result of diminishing in-house R&D and increased outsourcing. According to latest research by the Association of the British Pharmaceutical Industry, industrial placements have been on a steep decline: from 530 in 2007 to 355 in 2009 and 268 in 2011. But this is simply the result of less in-house work, as other numbers show that industry has in no way lost interest in keeping in touch. 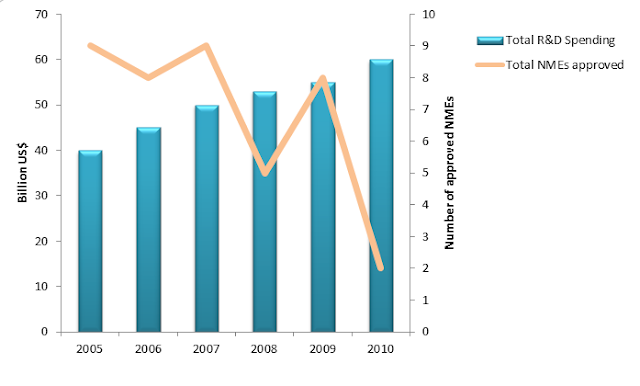 In 2009, the number of sponsored PhD partnerships was 384, whilst in 2011 this number rose to 644. This seems to re-iterate the notion that pharma is “down but not out”—in other words, declining annual revenues have called for more economical ways of maintaining contacts, but companies are by no means less enthusiastic about scouting potential “socially”. The trends the industry is following today are a result of a single apparent variable: lesser funds. With less money to throw against the conservative R&D model, companies have been able to isolate and target the root of pharma’s problem: the unproductive beast that the in-house R&D strategy has become along the way. In-licensing and outsourcing may eventually lead to a new pharma “shell” model, whereby giants merely reign over countless contracts and licenses. But there may yet be a hindrance to this development. Come back to the Bioassociate blog next week for Part 3 of the New Era Pharma Business Model: The Case of the No-Exit Biotech. For more in-depth details and numbers of the shifting trends, have a look at our report: "The Significance and Apparent Repercussions of the 2009-2015 Pharmaceutical Patent Cliff"